The Educators Advantage: Unparalled Planning InsightsWe’ve been working with the education community a long time (since 1975) – which means we’ve seen educators through from their first day on the job, to retirement and beyond. So when it comes to financial planning that works with your needs, goals and where you happen to be in your career (and in life), we can provide you, and your family members, with the kind of insight you just won’t find anywhere else. The Educators Advantage: Strategic Investment SolutionsSince 1975, Educators Financial Group has been dedicated to exclusively serving the education community and their family members. It is a history that has provided us with a thorough understanding of educator-specific areas such as your pension (OTPP/OMERS), compensation and tax structure, Deferred Salary Plan, gratuities and more. Having that kind of insight has put us in a unique position to understand educators better than any other financial organization. Add to that our commitment to getting to know you and your individual circumstances, and you will see the real value that comes from choosing Educators Financial Group for the investment solutions to help you achieve your financial goals. The Educators Advantage: Savings-Smart LendingAfter union dues, pension contributions and government taxes, your net pay is a very precious thing. So why would you ever pay more interest than you have to on mortgages, credit cards or lines of credit? 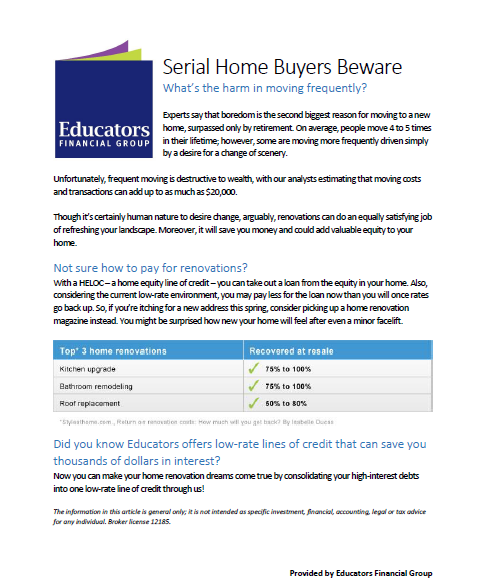 From mortgage rates consistently below the big banks posted rates, to lines of credit that can save you thousands of dollars in interest – Educators Financial Group helps to make your pay cheque go the distance by offering you savings-smart lending solutions that put more money back into your pocket. No matter where you are on the pay grid, or what stage you’re in career-wise, or in life, Educators can help you to realize those dreams of owning a home and/or paying off your debts, sooner. If genuine understanding can only come from experience, then at Educators Financial Group, we’re proud to say we’ve been living and breathing the world of the education community since 1975. We were born during a period when (because of the summer months) teachers were viewed by financial institutions as ‘occasional workers’, and therefore too ‘high risk’ to be given mortgages. The Ontario Secondary School Teachers’ Federation (OSSTF/FEESO) then decided to establish an alternative to the banks. A place teachers and their family members could turn to for the mortgages, financial solutions and investment advice they weren’t getting anywhere else. Thus, Ontario Teachers’ Group (OTG) was formed, and it all started with the simple idea that the unique financial needs of the education community would be best served by those who genuinely understood those needs. From teachers to all educatorsAs the financial needs of the education community evolved over the years, so did the need for us to evolve along with it. Part of the evolution involved updating our name to reinforce our commitment not only to teachers – but to all educational workers and support staff. So, after extensive collaborative research that involved your peers, ‘Educators Financial Group’ was chosen as the name that best captured that commitment. The education community’s financial specialistWhile we are owned by OSSTF/FEESO, today Educators Financial Group administers more than $900,000,000* in assets for over 16,000 clients across all OTF (Ontario Teachers’ Federation) affiliates. It is because of our strong relationships and longstanding history with all educators that we’ve earned the unique position as the education community’s financial specialist. Plus, with our lower investment fees, mortgage rates, and a top-notch portfolio of investments managed by industry-leading experts, there’s no shortage of the financial solutions we can offer exclusively to educators and their families. Whether you need expert advice on pension income maximization, planning your 4 over 5, summer cash flow challenges, how to minimize tax on gratuities, or any other educator-specific topic – we can answer your question and, more importantly, help you to achieve your financial goals. The Educators Advantage: Resourceful Financial LearningMore than offering financial products and services, Educators Financial Group is about empowering the education community with the knowledge and resources they need to take charge of their personal finances. That’s where The Learning Centre comes in. 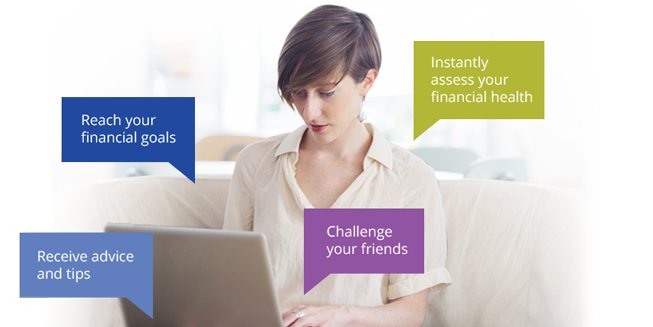 Think of it as your online resource area, full of free tools, tips and more that will help you to increase your financial literacy and get a better hold of your money, so you can live the lifestyle you want. In addition to the various webinars and articles you’ll find on a range of topics, you can utilize The Learning Centre for our handy online calculators to figure out your net worth or plan for retirement.